I thank Smac and Wytch for this idea. And in this case, you turned the WB to the cool end of the scale. Interestingvariation on Steve's idea. I think it is time to run the White Balance challenge again. Look for it before Summer is out. Yes I shot the bulb under various conditions using each of the WB settings. Its interesting how nice the color variations work, especially when it doesnt come as a surprise. 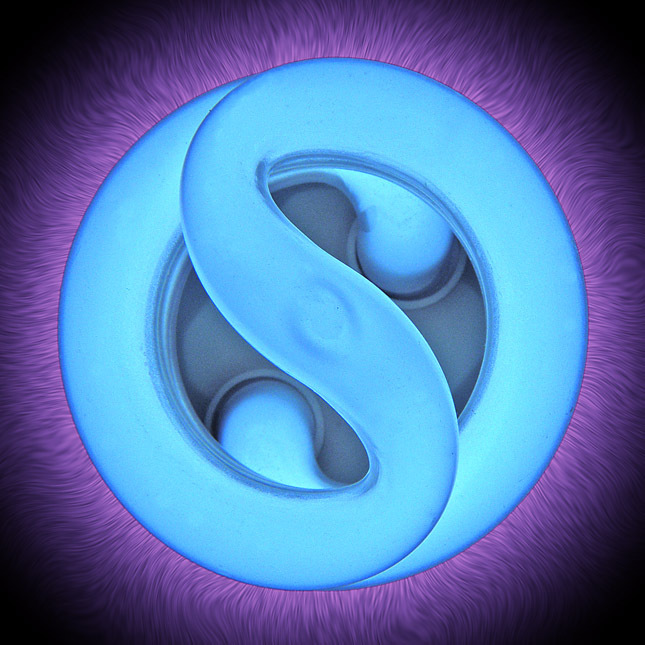 Whatever the purple background medium is it really compliments the blue bulb. I, of course, think it's fantastic and thanks for the nod Bynx. Very cool photograph. Steve, if you keep changing your avatar, how am I going to know who you are? Thank you Liu. And Steve, your latest Avatar is a killer. Ha hah! By my witty and insightful comments of course. I am apparently having some kind of cyber- identity crisis..... it should subside soon.